Dillon Rogers was founded in 2001 by Geoffrey Dillon and Dori Rogers. Their goal was to create a fashion jewelry and accessory collection with positive messages that feed your soul. Mastering recently released industrial technology allowed the DR team to be the first to create a proprietary engraving technique that allowed DR to have fresh new look that had never before been seen in the fashion jewelry industry. Soon after their start, the tragedy of 9/11 occurred. Days after, while the country was in mourning, Dillon Rogers was contacted by the Fred Segal boutique Los Angeles and Henri Bendel New York. They were asked to partner in a project to create over 600 memorial bracelets with the proceeds going to the 9/11 victims fund. 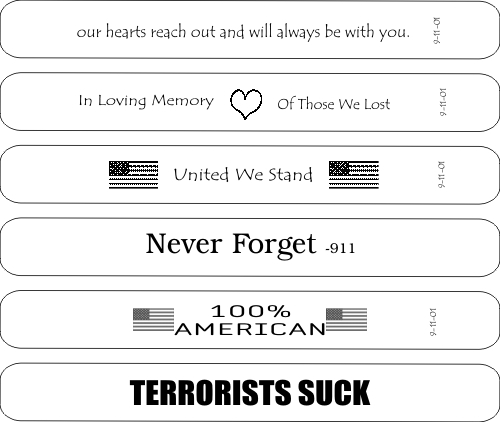 The bracelets were engraved with words and phrases such as “in loving memory of those we lost”, “Proud to be an American” as well as “Never forget”. Their bracelets were an amazing success and sold out in only two days! Our country was in need of spiritual healing and the Dillon Rogers “Spiritual Band” was born. Shortly after, their bracelets were embraced by Kitson boutique in Los Angeles, thousands of their personalized bracelets and diamond initial bracelets were sold within the first 3 months. Their message bracelet exploded in popularity and was soon found adorning the wrists of Hollywood’s most fashionable celebrities such as Jennifer Aniston, Brad Pitt, and Hallie Berry. Dillon Rogers pushed forward and created a “must have” fashion boutique product, selling in over 3000 better quality specialty boutiques and department stores. During the first years of business, China was quickly becoming a manufacturing power-house, luring in most manufacturers with their low prices yet low quality. DR quickly made the choice to continue their high product standards using only the finest quality leather and components. DR quickly realized that their desired level of craftsmanship could only be achieved by a "vertical" manufacturing structure, keeping everything in–house, and having a true American made product. 17 years later, DR has a new “Millennial” customer. They have little memory of 9/11 but they have a strong conviction for social justice and equality while being self-aware, goal oriented and introspective. To meet their needs, the DR “Spiritual Band” has evolved into the “Messages of Mindfulness Collection” which is all about living fearlessly in the moment. DR designs, messages and colors are new but their Made in America philosophy, quality craftsmanship and customer support has remained the same. Be strong, be wise, be wonderful and be yourself, and do it wearing Dillon Rogers!